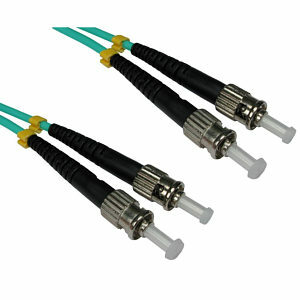 1m OM3 fibre optic network cable with ST-ST connectors, constructed with 50µm core and 125µm cladding. 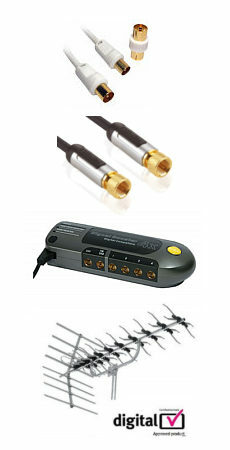 The OM3 range offer a higher bandwidth and greater distance over OM2 cables. 15 Meter Cat5e Network Ethernet Patch Cable BLACK High quality CAT5e network patch cable. RJ45 connector each end. Moulded connector boot. Length 15m. Colour BLACK. 500Mbos Homeplug Powerline Ethernet adapter, compliant with HomePlug AV specification 1.1 with a high speed transfer rate of up to 500 Mbps. The power line Ethernet adapters 56-Bit encryption with key management. A minimum of two Adapters are needed and more can be added as the network grows. Pass through function allows you to free up a power socket that would otherwise be taken by the homeplug. Please note that while homeplugs will work with most operating systems, the software bundled will only work on Windows based machines. 3 Meter Cat5e Network Ethernet Patch Cable WHITE High quality CAT5e network patch cable. RJ45 connector each end. Moulded connector boot. Length 3m. Colour WHITE.